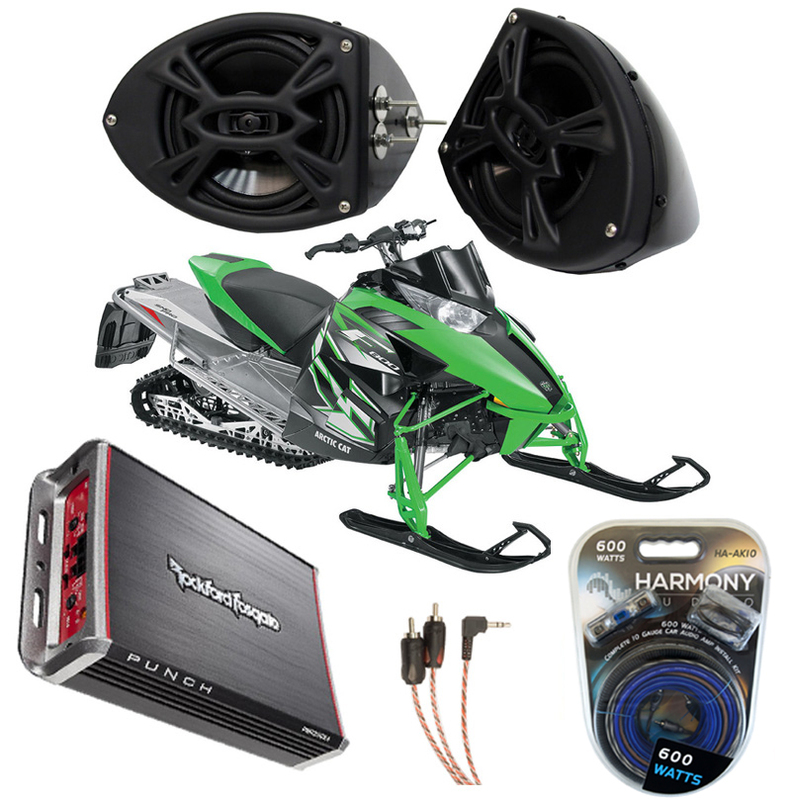 This package includes everything you need for loud custom stereo on your Artic Cat Snowmobile! 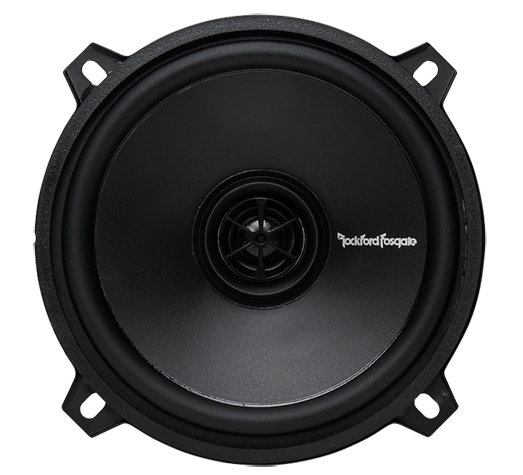 The amplifier powering the system is the Rockford Audio PBR300X4 which is a small footprint amp that measures 1.53" x 4.25" x 6.75" which is about the size of a CD making it easy to hide while still producing an ear piercing 300 watts! 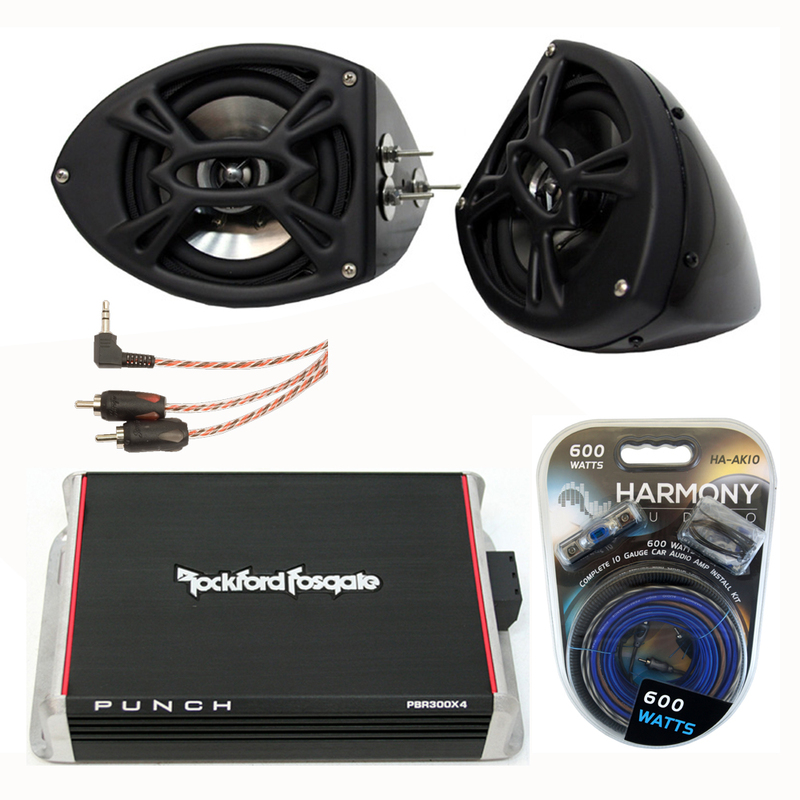 We also include a pair of Rockford R152 speakers that match perfectly with the REV-R enclosures making the install a breeze while looking great at the same time. 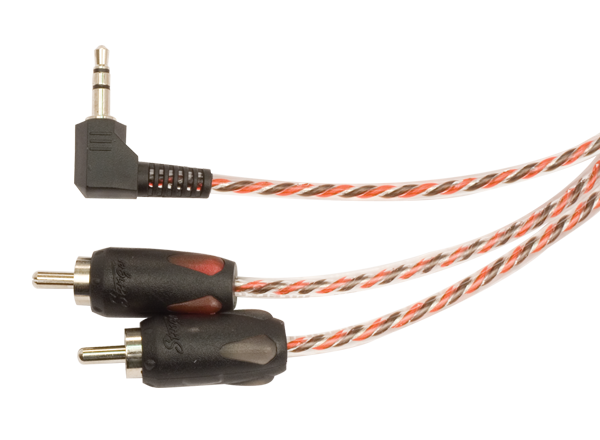 A 10 gauge amp kit covers the wires needed and we include an adapter (RCA to 3.5mm Headphone Jack) that is an optional install choice. 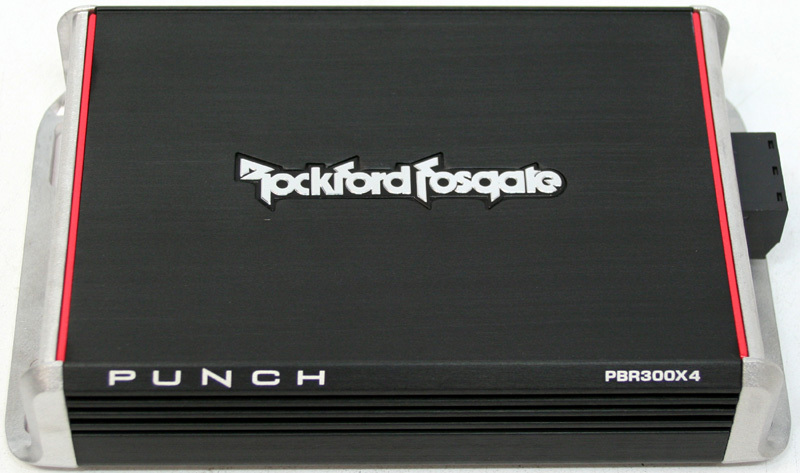 The adapter allows you connect an iPod, iPhone or any other device with a headphone output directly to the Rockford amp eliminating the need for a CD Player or other source unit. The volume of the amplifier would be controllable by using the headphone volume output of your iPod, iPhone or other device. 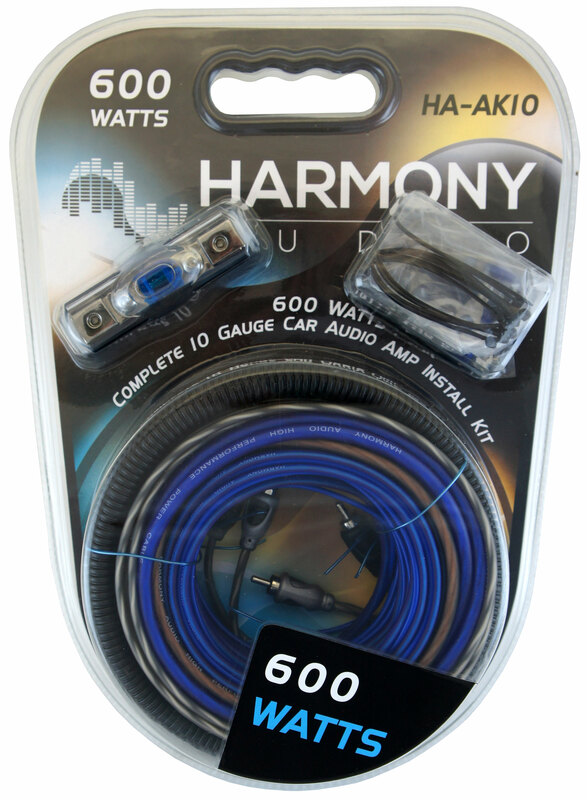 If you prefer a using a head unit the amp kit also includes RCA cables for a more traditional stereo install so it leaves the option to you. The pods were designed to hold 5 ??? speakers however they must have the mounting tabs on the 4 corners to properly install into place (See Image). Each pair also includes metal back straps that MUST be installed for the pods to be correctly mounted. We recommend attaching the blackstrap from the pod to the actual frame of the Artic Cat Snowmobile.